SCE was recognized by the White House for their efforts to support wider adoption of electric vehicles. Charge Ready is a recently launched SCE program to install as many as 1,500 EV charging stations in Southern California. The Obama administration cites the pilot as an example of success in supporting EV expansion. Southern California Edison was among the organizations recognized by the White House Thursday for their efforts to support wider adoption of electric vehicles and to expand EV charging infrastructure in the U.S.
“By working together across the federal government and with the private sector, we can ensure that electric vehicle drivers have access to charging stations at home, at work, and on the road — creating a new way of thinking about transportation that will drive America forward,” the White House said. “In addition to making it more convenient to charge electric vehicles in Southern California, Charge Ready is part of our overall vision for grid modernization that will enhance system reliability, support consumer use of clean energy technologies and help California meet its clean energy goals,” said Caroline Choi, SCE senior vice president for Regulatory Affairs. 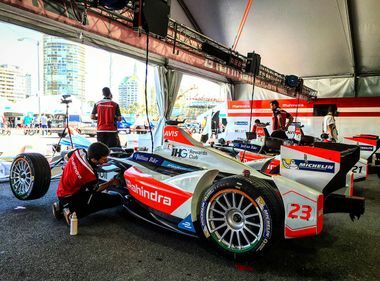 The program also provides funding for education and outreach to develop awareness about the benefits of driving EVs and charging from the power grid. SCE’s participation in a vehicle-to-grid pilot project with the Department of Defense, the first of its kind in California, is another SCE electric transportation effort receiving attention in Washington. 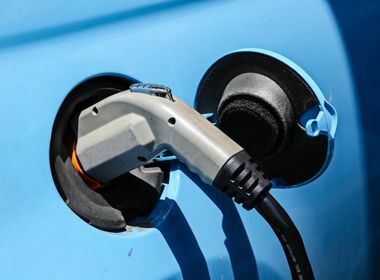 “The vehicle-to-grid pilot is demonstrating that when many electric vehicles are plugged in, their batteries provide a reservoir of stored energy that can be drawn upon to meet the needs of the electric power grid,” said Lisa Cagnolatti, vice president of SCE’s Business Customer Division. The White House also recognized SCE for offering seven residential and commercial rates designed for transportation electrification, spending 20 percent of its recent annual fleet budget on electric drive vehicles, and including EV charging and solar carports as part of its energy-efficiency contract with the Federal Aviation Administration in Palmdale. The programs that were highlighted demonstrate SCE’s more than 25-year commitment to electric transportation, said Cagnolatti. SCE currently has more than 60,000 plug-in EV customers in its service territory, which amounts to about 14.5 percent of national sales. 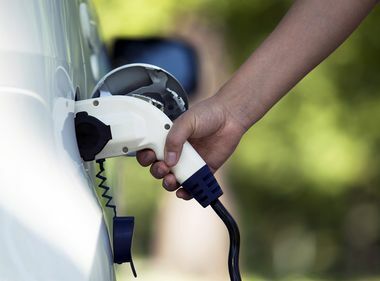 The utility invests $4 billion a year on its power network, which includes upgrades to ensure that it is ready for wider adoption of technologies like plug-in EVs, battery storage, solar and other renewable power sources. As a signatory to the guiding principles, SCE also committed to collaborate with stakeholders to develop plans to meet state requirements for utility programs and investments to accelerate widespread adoption of electric transportation, and to launch its Clean Fuel Reward program this year to provide incentives to residential EV owners.